Dubai, United Arab Emirates, October 22, 2018 – Lenovo, a Fortune Global 500 company and global technology leader in driving Intelligent Transformation, and EMITAC Enterprise Solutions (EES), a regional leader in delivering IT infrastructure services and solutions, today announced a strategic partnership for the UAE market. 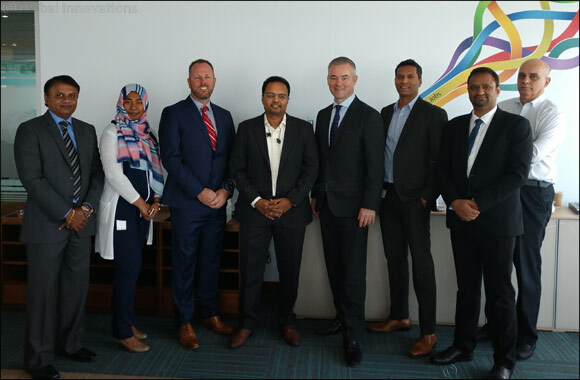 As a part of this partnership, EES has been officially been appointed as a tier-one partner and will leverage Lenovo’s industry-leading data centre portfolio to drive intelligent transformation through software defined solutions for enterprise customers in the UAE. Ranked #1 in customer satisfaction and x86 reliability, Lenovo’s data centre portfolio spans servers, storage, converged and hyperconverged, networking, hyperscale, software and services. This includes its ThinkSystem and ThinkAgile products. Founded in 1976, EES provides solutions for business applications and core infrastructure, within data centres and enterprise-wide communication and networking. Their in-depth industry expertise and flexible delivery models help customers harness the best out of their IT investments by creating a reliable and scalable infrastructure. Through strategic commercial partnerships, EES is able to bring unique and innovative financial solutions to their customers across the UAE, by facilitating ‘extended supplier payment terms’ and enhancing core KPI metrics such as ‘free cash-flow’, as well as moving Capex to Opex if required and providing preferred balance sheet treatment.